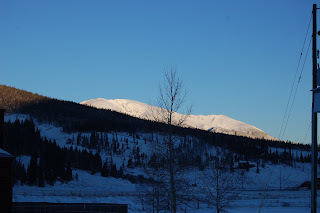 ...morning in the Colorado high country. It was -2 at my house this morning. The dichotomy in all of this is the forecast is for 70 on Saturday. Maybe I will not have to blow my driveway after all. Blow in the literal sense as in blowing snow with my snow blower. I only used it once last year. A couple of years ago I used it two or three times a week. That was the year my back deck collapsed from the weight of the snow. 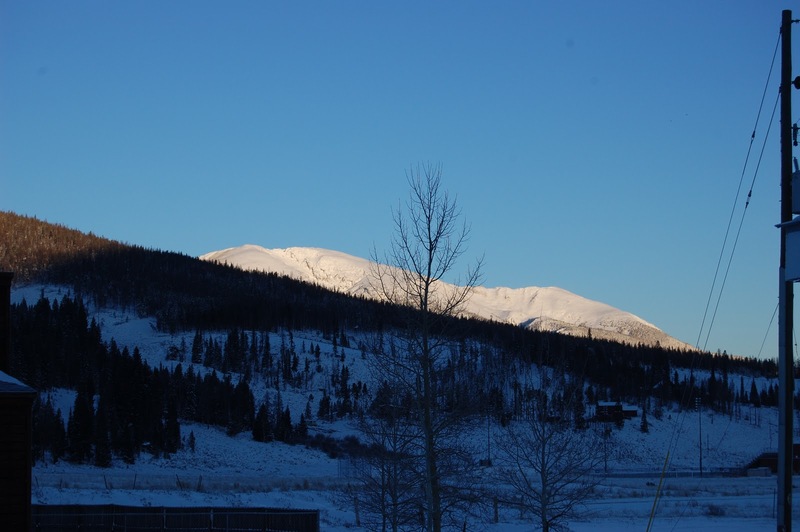 The attached photo is of Buffalo Mountain along the Gore Range in the wilderness area this morning. I have climbed that mountain several times. A couple of times with my Scots Terrier with four inch long legs. Angel did not have a problem. Angel finally went blind. I noticed it when she would stand staring at a blank wall waiting to get into the house. No door. No window. A blank wall. She could not see a thing. I finally had to put her down. She was my last animal. My grown children leave their animals here all the time but it is not the same.